MTD WALKERS most profitable choice given that construction industry did rather well in the last six months. Collection more ideal before financials come out! Fell from 40 to 8,How much can it move up?Did you all notice the activity today? @prabath wrote: Fell from 40 to 8,How much can it move up?Did you all notice the activity today? For the year ended 31 March 2018, MTD Walkers’ revenue was Rs. 16.1 billion, up by 20 per cent from the last corresponding year but the group reported a loss of Rs. 511 million in the fourth quarter with an annual loss of Rs. 2.8 billion. For the three months ended 30 June 2018, MTD Walkers Plc revenues decreased 17% to LKR2.61B. 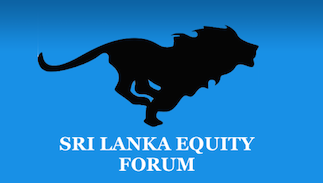 Net loss increased 14% to LKR624.1M. Revenues reflect Real Estate segment decrease of 82% to LKR47.8M, Heavy engineering segment decrease of 64% to LKR89.1M. Higher net loss reflects Finance Cost increase of 80% to LKR1.01B (expense), Administrative expenses increase of 9% to LKR345.8M (expense). Did I say KAPI is hitting 40 or did I mention to buy or did I tell targets.Funny to see how you get on me like this.Since its no use to open a new topic I just searched and found KAPI post.Chill man. @reyaz wrote: MTD WALKERS most profitable choice given that construction industry did rather well in the last six months. Collection more ideal before financials come out! This is the type of speculative advice, investors should avoid.